Toward the end of the thirteenth century, at about the time Marco Polo was being received by the great Khubilai Khan, a Nestorian Christian monk from China called Rabban Sauma was making the reverse journey from the Mongol capital (what is now Beijing) to Jerusalem. Upon reaching Baghdad—the first traveler to arrive from China—Sauma learned that his pilgrimage could not be fulfilled because of Islamic control of the Holy Land. 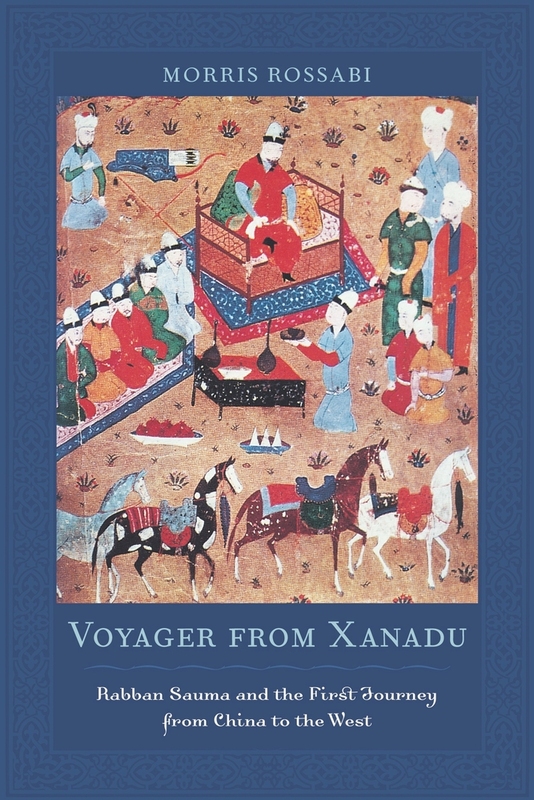 In Voyager from Xanadu, Morris Rossabi traces Sauma’s trans-Eurasian travels against the turbulent era of the Mongol Empire and the last Crusades. His indispensable book provides a unique first-hand Asian perspective on Europe and illuminates a crucial period in the early history of global, diplomatic, and commercial networking. Morris Rossabi is Distinguished Professor of History, City University of New York, and Adjunct Professor of Chinese and Mongolian History at Columbia University. He is the author of many books, including Khubilai Khan: His Life and Times (UC Press).